Select the appropriate application below. Once your application is submitted, you will need to submit your high school transcript and ACT or SAT scores. Within 7 days of receiving your transcripts and test scores, you will be notified of an admissions decision. Freshman applicants are required to submit an official transcript sent from the high school to the OBU Admissions Office. Freshman applicants may be admitted on the basis of an incomplete but official transcript which shows grades through at least six semesters. Upon graduation, the student should request that a final, official transcript be sent to OBU, bearing signature of the school official, graduation date and eight semester grades. In addition, it is preferable for transcripts to include class rank, standardized test scores and the school seal when possible. 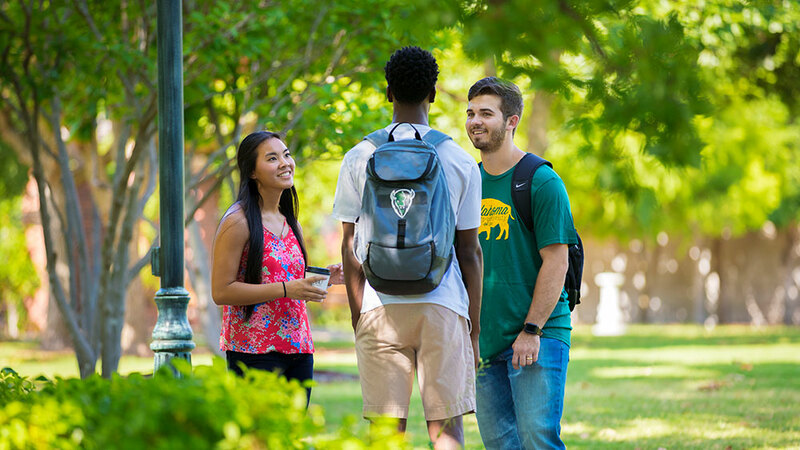 Transfer students must submit an official transcript from each college attended, sent directly from the institution to the OBU Admissions Office. New freshmen who have taken concurrent college work must also submit an official transcript from each institution attended. Transfers will not receive an acceptance decision until all previous college work is submitted. Transcripts issued to the student are not acceptable for admission purposes. Any student who fails to report work taken at another institution is subject to immediate expulsion from OBU. New freshmen must submit satisfactory scores on either the American College Test (ACT) or the Scholastic Aptitude Test (SAT). OBU's ACT code is 3414, and our SAT code is 6541. Transfer students with fewer than 24 semester hours are also required to submit test scores. This requirement may be waived for students over 25 years of age. Scores recorded on an official high school transcript or those reported directly from the testing agency are acceptable. The student health record form is required by all students. New freshman and transfer students must have the student health record form completed and must be turned in to the Student Health Services Office to be eligible and permitted to move in to campus housing. The front page of the form is to be filled out by the student, the second page is to be filled out by your doctor verifying all required immunizations, current TB skin test, and current physical. Fill out the Student Health Record Form.